As a general dentist, Dr. Sekhon is focused on preventing and eliminating oral diseases before they can impact the rest of your smile and your health. He strives to detect, prevent and treat oral disease in several different, yet effective, ways. For more complex cases, we often refer our patients to a specialist for treatment. Regular preventive care, including exams and cleanings, help you prevent complex problems from forming over time. It’s a great way for you to reduce the amount you spend on dental care over the course of your lifetime. Stay on top of your dental health with the help of the various preventive services offered here at Gallery Dental. When disease or an accident causes severe damage, both simple and emergency extractions are sometimes necessary. Gallery Dental will work to keep you comfortable with anesthesia options. We will also help you to replace your missing teeth as soon as possible after the extraction so that you can get back to smiling with confidence. We use VELScope advanced oral cancer screening equipment to identify precancerous tissues at an early stage. Frequent and early screening could be your keys to better oral health. Dr. Sekhon will use this tool to help you understand your risk for oral cancer. Are your wisdom teeth bothering you? 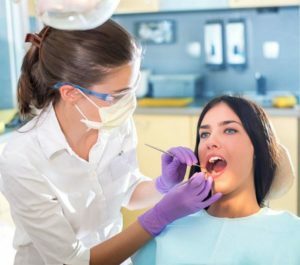 Our Edmonton, AB dentist offers thorough evaluations and quick wisdom tooth treatments with pain relief options to increase your comfort level during your surgery. Dr. Sekhon will review your treatment options with you and help you find relief from the discomfort. No matter where you are on your journey to a healthier and stronger smile, Gallery Dental can help you to reach your smile goals. Call our office today to schedule your visit with us. We also offer cosmetic dentistry in Edmonton, AB.